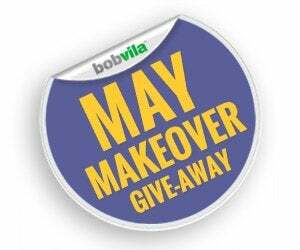 Enter to Win Bob Vila’s $3,000 May Makeover Give-Away—TODAY! Enter today and every day in May to increase your chances to win! Patio season is officially here! For most homeowners, there’s nothing better than relaxing by the fire pit and entertaining friends and family in a beautiful backyard. But if your patio has seen better days, it can take a serious investment in order to ready it for summer fun. That’s why we’ve teamed up with Quikrete to bring you this month’s give-away—with the chance to win one of two patio makeovers worth $1,500. Concrete patios are incredibly simple to build, but their best feature is that they can be custom-tailored to your tastes. For instance, if an easy-to-clean flat surface doesn’t suit your backyard style, try using the Quikrete Walkmaker® concrete forms to create surprisingly simple faux brick or stone surfaces. Maybe you’re yearning for a color palette that’s more decorative than your usual sidewalk-gray? Not a problem! Simply mix in Quikrete colorants for a look you love, like rich terra cotta red or a sleek charcoal hue. If you win this month’s give-away, you’ll have all the concrete, colorants, sealers, forms, and tools you need to build the perfect patio for your home. 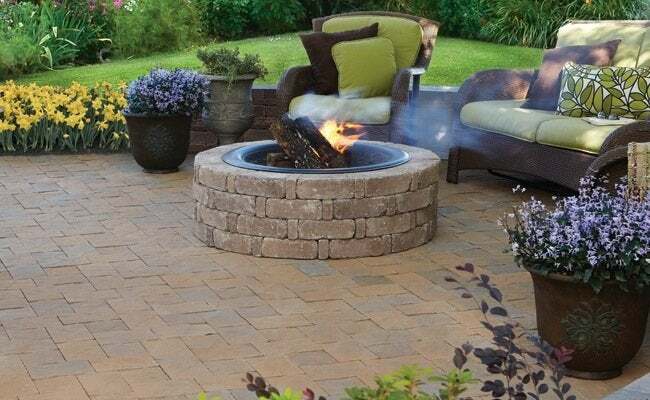 And no matter which designs or colors you dream up for your patio, you will be able to enjoy it’s beauty while gathered around your new Pavestone Rumblestone Firepit. So get ready for a patio you’re proud to call home! If you win the $3,000 May Makeover Give-Away, the perfect backyard is only a daydream away! To learn more about Quikrete and their products, click here. The “Bob Vila’s $3,000 May Makeover Give-Away” sweepstakes is open only to permanent legal U.S. residents of the 50 states and the District of Columbia. Void in all other geographic locations. No purchase necessary. Contest Period runs from 12:00 p.m. (EST) Thursday, April 30th, 2015 through 11:59 a.m. (EST) Sunday, May 31st, 2015. One entry per household per day on BobVila.com. Alternative means of entry for Drawing is available by faxing your name and address to 508-437-8486 during the applicable Entry Period. Odds of winning depend on the number of eligible entries received. See Official Rules.